Voice hoarseness is the term used to refer to the difficulty experienced in speaking when trying to speak due the congestions experienced in the throat. Due to the difficulty in speaking the voice may become harsh, scratchy, breathy etc. The voice hoarseness is often caused due to some tumors that may be affecting the vocal cord or may be due to its paralysis. The causes which turns the vocal cords defective can be generally be classified into the following categories. 2) Consumption and alcohol and acidic liquids. If the above symptoms are continuously felt for more than one week then it is better to see a physician of an ENT specialist who will be able to sort out the problem behind the symptoms and char out the appropriate procedure and treatment options to find out a solution to your problem. Traditional treatment options like voice rest, medications etc will be tried out during the early stages of diagnosis. 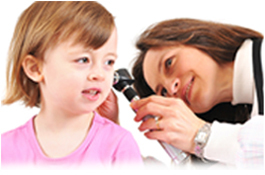 Laryngoscopy is a procedure in which a laryngoscope in inserted to your throat through your mouth and with the help of the camera on one end of a flexible tube attached to the laryngoscope, your vocal cords are examined at various stages like at rest and at pronouncing different syllables. With the help of this, the surgeon will be able to clearly identify the problem you are facing and appropriate treatment can be started immediately. If the traditional methods are not found to be yielding any fruitful result, then surgical procedures are also available for removing the cysts, polyps, palsy etc of the vocal cords. Surgery may be needed for the removal of a part of the voice box which is known as partial laryngectomy. If all of the voice box has to be removed it is known by the term completed laryngoscopy. Traditionally these surgeries are done through an incision in the neck. But now the technology has improved and some surgeons are doing this surgery using an endoscope. In such surgeries the tumor or other parts were cysts or polyps are found are cut using a laser beam. Other cutting edge technologies followed by ENT surgeons include voice restoration surgery in which a small valve is inserted at the time of the surgery. In another surgical procedure air is swallowed into the stomach and then it is burped back in a controlled way.